History: 65 year old male with chest pain. 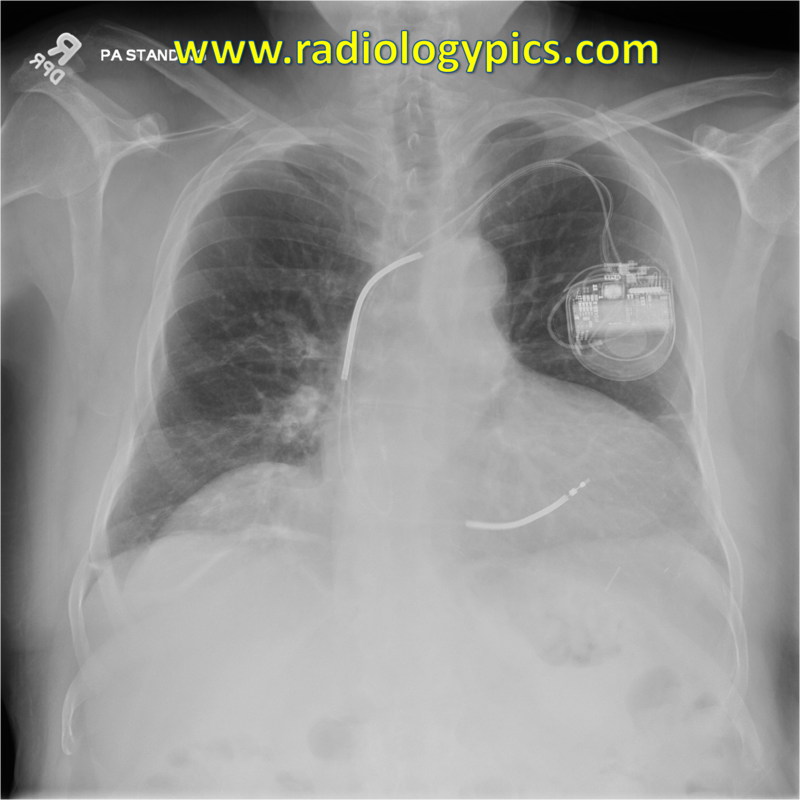 Implantable Cardioverter Defibrillator Device – frontal radiograph of the chest shows a relatively normal appearing ICD in the left chest wall with apparently intact leads in the right atrial appendage and right ventricle. 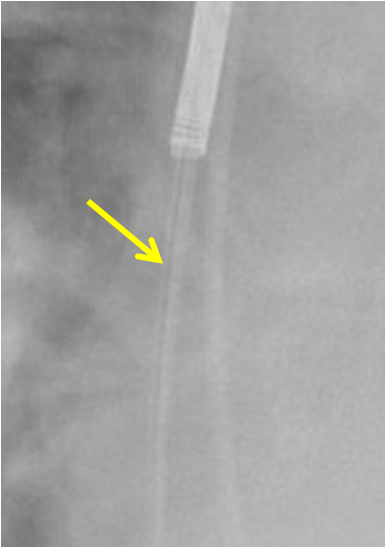 Insulation failure – zoomed in image of the above chest radiograph reveals a thin wire has broken through its insulation (yellow arrow). Note the adjacent wire to the patient’s left is intact and normally surrounded by insulation. 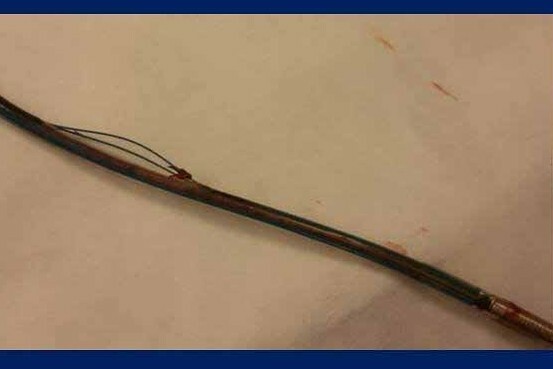 This is a case of premature insulation failure in an implantable cardioverter defibrillator wire. Below is a gross picture of the failed wire. Photograph of the Riata wire with insulation failure. Image from Wall Street Journal here. Many studies have been done on this ICD, which is called the Riata from St. Jude Medical, Inc, and have shown that insulation failure occurs in up to 33% of patients, of which 29% have electrical problems. One article here showed that out of an FDA database of 133 deaths associated with Riata, Riata ST and Quattro secure leads, 22 (17%) were associated with Riata or Riata ST lead failure. Read about the FDA warning of premature insulation failure in recalled Riata Implantable Cardioverter Defibrillator leads manufactured by St. Jude Medical, Inc. here. St. Jude has published communication about the recall here.